Recently obtained at auction as part of a mixed lot. 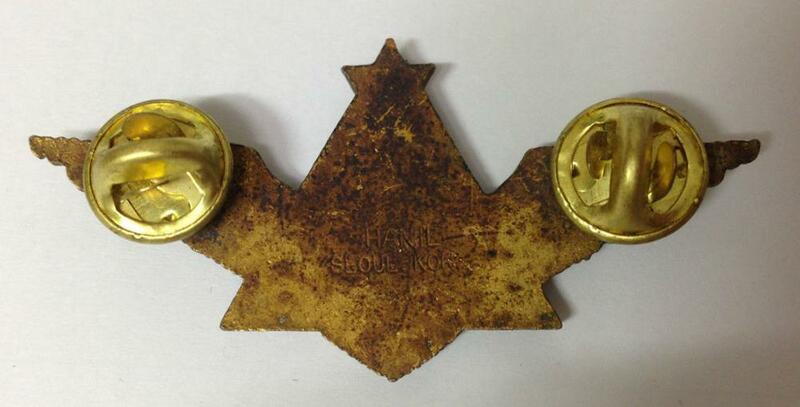 The award is well made, some 45mm in diamenter, and of gilded bronze or base metal weighing about 18gms. There appears to be a manufacturers/makers mark on the reverse below the suspension loop, but not clear even under high magnification. Whether the ribbon is original or not is unknown. The reverse inscription reads, according to one of my staff, literally as, "On the field of battle who sheds his blood and broken bones" - this may, no doubt, be rendered, in a more elegant manner. Any suggestions? A late imperial piece? The background of cross may support this suggestion. A quality Derg issue? The obverse design of weapons - rifle, rocket, cannon and bomb, may support a post imperial design. However the rifle does appear to be similar to a Lee Enfield bolt action - not a more appropriate modern assault weapon such as an AK-47. Not, I think, post Derg. wow! something new. my understanding is that the new Ethipian government redesigned the wound medal, but retained the heart motif. this I have no idea, but suspect it is either a 1. interim wound medal (1990-1995) or A local award OR an Italian collaborators piece. Use of a cross as a design. Weapons of an older era. But at the moment no other information. Could it be Early Eritrean War period circa 1962? The cross is a Lalibela cross and the trophy of arms WW2 or into the 50's or 60's. I am tempted to believe it to be a Selassie piece but am wary of allowing the desired end conclusion to manufacture arguments to support such a conclusion. 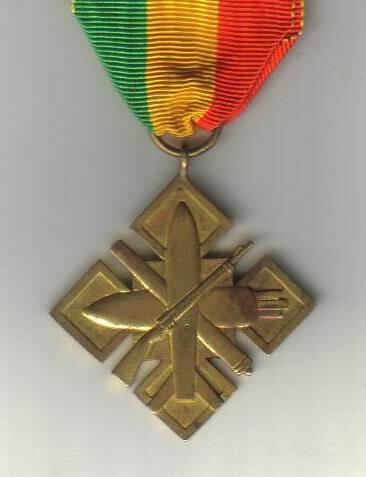 A fellow collector has sensibly suggested that all Haile Selassie I era awards have some form of imperial device or imagery and thus as this piece is devoid of such imagery attribution the to HSI era may not be wise. Intriguing! I agree that the cross theme and the quality seem to suggest earlier rather than later but agree that one doesn't want the wish to be father to the child. Please keep us posted if you find out more about it. Not sure the ribbon is a reliable indicator of much of anything except country of origin, however. Quite possibly a connection indeed. Any info. on the wings? And, do you know or can you speculate, is the name on the back a recipeint, a maker or something else? That's an interesting medal at the beginning of this thread. I got the attached photos when I was in Addis about seven years ago. I have about four physical copies of the medals and a ribbon bar set. Wow. Thank you very much !!! Nice! Thanks for sharing, Redlegs. 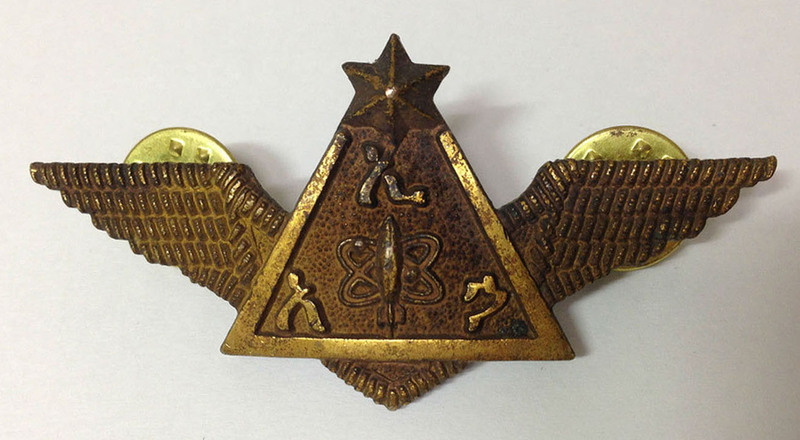 The initials on the wing badge are E.A.Ha, which could stand for Ethiopian Ayer Hayle or Ethiopian Air Force. My opinion is definitely not from Haile Selassie I era, and feel the same about those wings. They are nice and good for a complete collection covering all eras, but probably not Imperial. 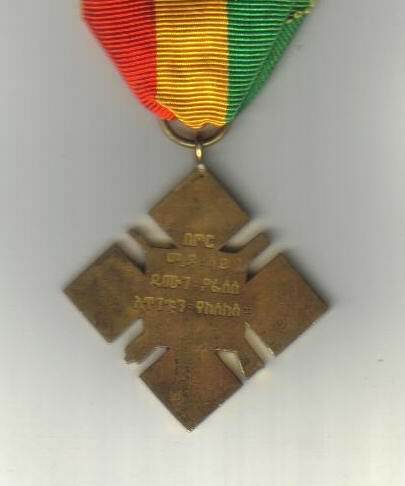 I don't actively collect Socialist medals of Ethiopia just as I don't collect the Italian medals for invading Ethiopia, but having said that, I do find that I have quite a few. Perhaps seeing these can help some of you figure out what you have. Sorry about the reflections, but I can take better photos of any of them upon request and have titles for most of them. More apologies for the reflections. and low resolution but better shots of any can be taken and sent to you by email. Having just posted the above photo, it's not allowing me to post the next photo of another 20 socialist medals of Ethiopia. Perhaps it will after someone responds.